City revived their title defence after a difficult December by beating the table-topping Reds in a compelling encounter in their last league match. 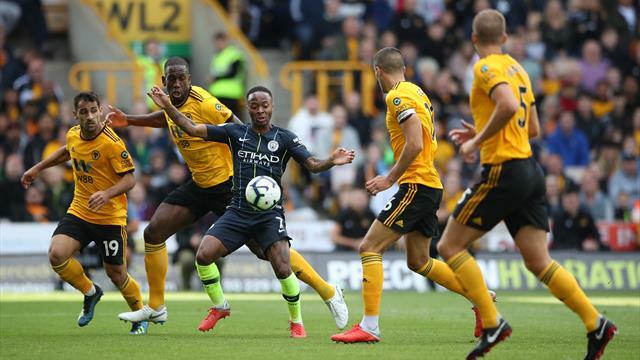 Manchester City will resume their pursuit of Liverpool at the top of the Premier League as Wolves visit the Etihad Stadium on Monday. The champions revived their title defence after a difficult December by beating the table-topping Reds in a compelling encounter in their last league outing. Since then City have enjoyed two confidence-boosting thrashings of lower division opposition in the domestic cups, dispatching Rotherham and Burton by a combined scoreline of 16-0. Pep Guardiola’s men will now look to maintain the momentum and keep up the pressure on Liverpool but the City boss expects Wolves to prove testing opponents. The promoted side held City to a 1-1 draw at Molineux in August while, more recently, they beat third-placed Tottenham over Christmas. Guardiola said: “They have incredible players and there are not just one or two, there are three or four. “They are strong physically and control many areas – set-pieces, offensive, defensive. City pair Sergio Aguero and Vincent Kompany could be back in contention after missing the cup matches against Rotherham and Burton. Aguero has returned to training while Kompany has made good progress in his recovery.